To use Samsung Pay in Mexico, you'll need a Galaxy Note8, an S8, an S8+, an S7 edge, an S7, a Note5, an S6 edge+, a J7 Pro, a J5 Pro, an A720, an A710, an A520, an A510, or an A320. These restrictions are due to Samsung Pay's reliance on MST, which most phones don't have. But aside from supported devices, details are relatively scarce. We don't know which banks are supporting Samsung Pay at this time, as Samsung Mexico's page doesn't have much information aside from a guide on how to use the service. (Update: Per a screenshot of a help page, Banorte, AMEX, and Banregio are supported. You can use Visa and Mastercard credit and debit cards with Banorte, AMEX credit cards with AMEX, and Visa credit cards with Banregio.) 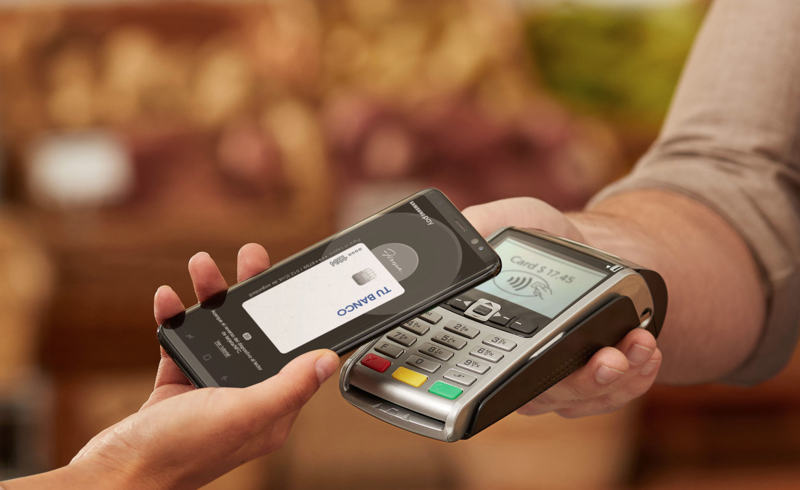 For now, you can register to use Samsung Pay; after you're approved, you should be able to start using it today, November 21st.